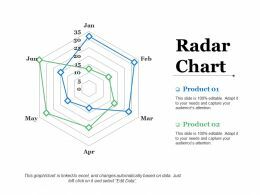 Presenting this set of slides with name - Radar Chart Ppt Infographic Template. This is a five stage process. The stages in this process are Business, Marketing, Finance, Process, Strategy. 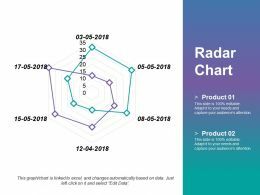 Presenting radar chart powerpoint slide introduction. 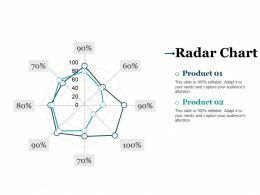 This is a radar chart powerpoint slide introduction. This is a three stage process. The stages in this process are radar chart, finance, analysis, marketing, business. 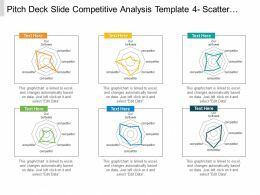 Presenting pitch deck slide competitive analysis template 4 scatter chart radar chart ppt samples. 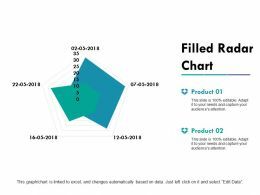 This is a pitch deck slide competitive analysis template 4 scatter chart radar chart ppt samples. This is a six stage process. The stages in this process are sales talk, sales conversation, pitch. 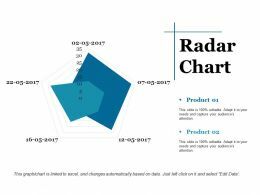 Presenting this set of slides with name - Radar Chart Ppt Examples Professional. This is a one stage process. 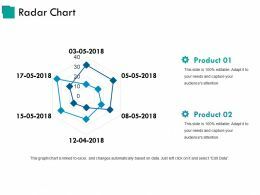 The stages in this process are Business, Marketing, Radar Chart, Finance, Percentage. Presenting radar chart presentation images. 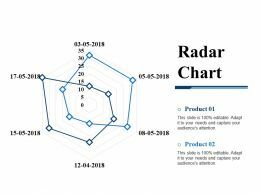 This is a radar chart presentation images. This is a two stage process. The stages in this process are product, percentage, business, finance, marketing. 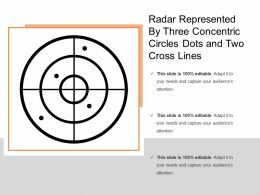 Presenting radar represented by three concentric circles dots and two cross lines. This is a radar represented by three concentric circles dots and two cross lines. This is a three stage process. The stages in this process are radar, scanning system, tracking system. 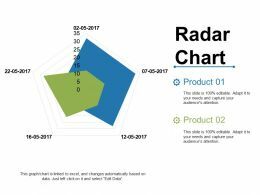 Presenting radar chart powerpoint slide backgrounds. 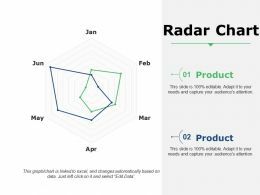 This is a radar chart powerpoint slide backgrounds. This is a two stage process. The stages in this process are chart, business, marketing, finance. 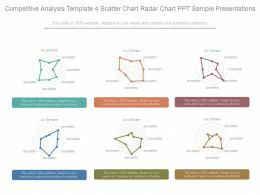 Presenting competitive analysis template 4 scatter chart radar chart ppt sample presentations. 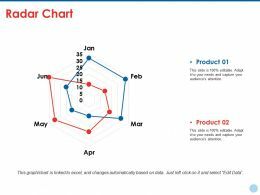 This is a competitive analysis template 4 scatter chart radar chart ppt sample presentations. This is a six stage process. The stages in this process are our software, competitor. 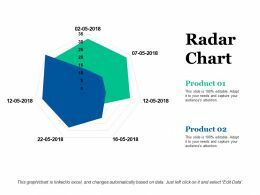 Presenting radar chart powerpoint layout. 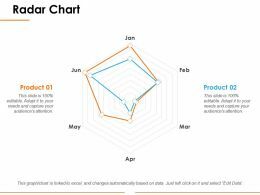 This is a radar chart powerpoint layout. This is a two stage process. The stages in this process are radar chart, finance, analysis, marketing, strategy, business. 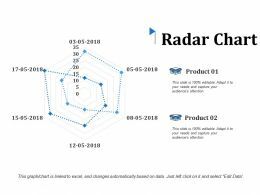 Presenting radar chart presentation pictures. 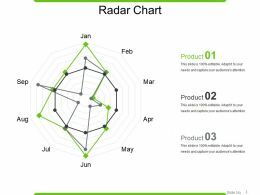 This is a radar chart presentation pictures. This is a two stage process. The stages in this process are radar chart, finance, analysis, strategy, business. 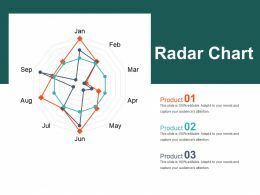 Presenting radar chart ppt example. 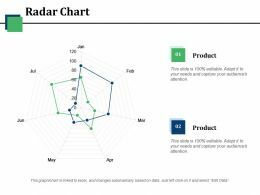 This is a radar chart ppt example. This is a three stage process. 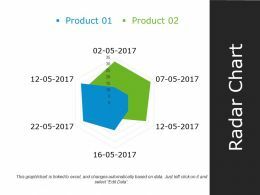 The stages in this process are radar chart, product, business, process, management. Presenting this set of slides with name - Radar Chart Ppt Diagrams. This is a two stage process. The stages in this process are Radar Chart, Finance, Analysis, Management, Business. Presenting this set of slides with name - Radar Chart Powerpoint Slides. This is a two stage process. 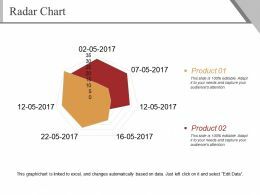 The stages in this process are Radar Chart, Business, Marketing, Finance, Analysis. Presenting this set of slides with name - Radar Chart Ppt Ideas. This is a two stage process. The stages in this process are Radar Chart, Business, Finance, Analysis, Marketing. Presenting this set of slides with name - Radar Chart Ppt Deck. This is a two stage process. The stages in this process are Radar Chart, Business, Marketing, Strategy, Management. 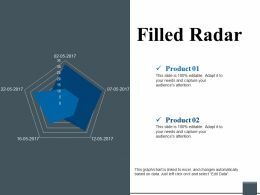 Presenting this set of slides with name - Radar Chart Ppt Show. This is a three stage process. The stages in this process are Radar Chart, Finance, Analysis, Management, Business. 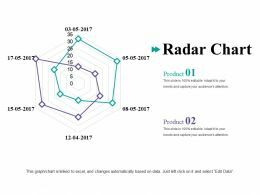 Presenting this set of slides with name - Radar Chart Ppt Themes. This is a two stage process. The stages in this process are Radar Chart, Finance, Marketing, Analysis, Strategy. 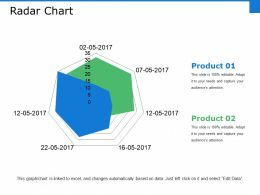 Presenting this set of slides with name - Radar Chart Ppt Microsoft. This is a two stage process. The stages in this process are Radar Chart, Finance, Business, Analysis, Management. 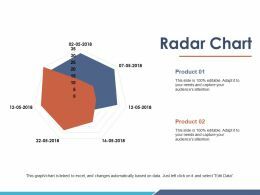 Presenting this set of slides with name - Radar Chart Ppt Templates. This is a three stage process. The stages in this process are Finance, Analysis, Management, Business, Radar Chart. Presenting this set of slides with name - Radar Chart Ppt Slide. This is a two stage process. 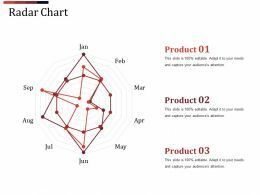 The stages in this process are Product, Shapes, Business, Radar Chart, Marketing. Presenting this set of slides with name - Radar Chart Generic Suffixes. This is a two stage process. The stages in this process are Radar Chart, Finance, Marketing, Strategy, Analysis. 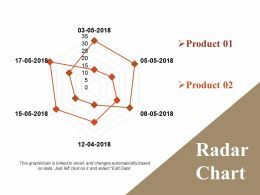 Presenting this set of slides with name - Radar Chart Ppt Summary. This is a two stage process. The stages in this process are Business, Marketing, Radar Chart, Finance. Presenting this set of slides with name - Radar Chart Ppt Samples. This is a two stage process. The stages in this process are Business, Marketing, Planning, Finance, Radar. Presenting this set of slides with name - Radar Chart Ppt Shapes. This is a two stage process. The stages in this process are Radar Chart, Finance, Business, Marketing, Analysis. 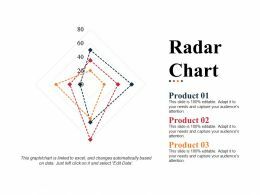 Presenting radar chart powerpoint slide rules. 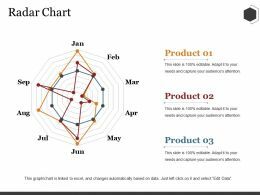 This is a radar chart powerpoint slide rules. This is a two stage process. 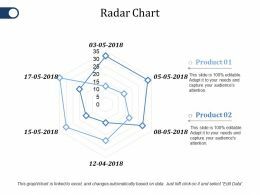 The stages in this process are product, radar chart, business, shapes. Presenting radar chart ppt background designs. 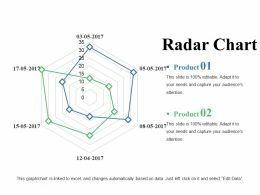 This is a radar chart ppt background designs. This is a two stage process. 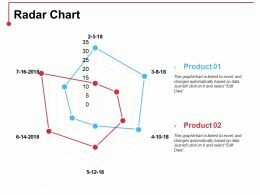 The stages in this process are radar chart, business, product, process, marketing. 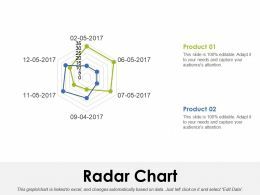 Presenting radar chart presentation background images. 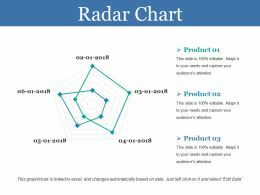 This is a radar chart presentation background images. This is a two stage process. The stages in this process are radar, finance, business, marketing, strategy. Presenting radar chart ppt presentation examples. 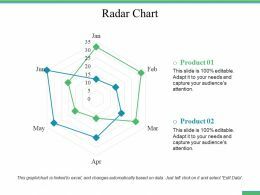 This is a radar chart ppt presentation examples. This is a three stage process. The stages in this process are business, marketing, strategy, chart, planning. Presenting this set of slides with name - Radar Chart Ppt Styles Slideshow. This is a two stage process. 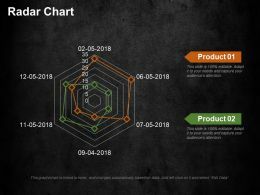 The stages in this process are Business, Marketing, Radar Chart, Strategy, Graph. 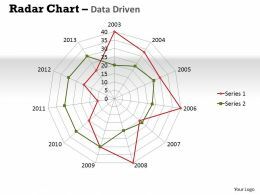 Presenting radar chart powerpoint slide inspiration. This is a radar chart powerpoint slide inspiration. This is a two stage process. The stages in this process are product, shapes, business, marketing. 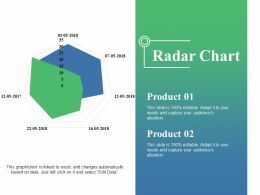 Presenting this set of slides with name - Radar Chart Ppt Design Templates. This is a two stage process. The stages in this process are Radar Chart, Finance, Marketing, Strategy, Business. Presenting this set of slides with name - Radar Chart Ppt File Grid. This is a two stage process. 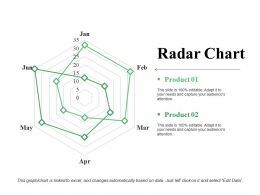 The stages in this process are Product, Radar Chart, Shapes, Business. Presenting this set of slides with name - Radar Chart Ppt File Topics. This is a two stage process. The stages in this process are Product, Radar Chart, Finance, Business, Shapes. 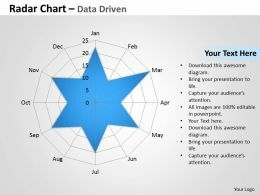 Presenting this set of slides with name - Radar Chart Ppt File Sample. This is a two stage process. The stages in this process are Product, Radar Chart, Finance, Shape, Business. Presenting this set of slides with name - Radar Chart Ppt File Shapes. This is a two stage process. The stages in this process are Product, Radar Chart, Finance, Shape, Business. 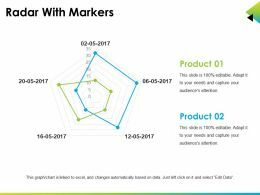 Presenting this set of slides with name - Radar Chart Ppt Gallery Smartart. This is a two stage process. 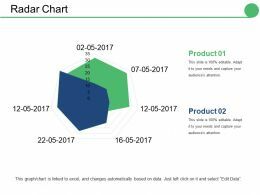 The stages in this process are Product, Percentage, Finance, Business, Radar Chart. Presenting this set of slides with name - Radar Chart Ppt Examples Slides. This is a two stage process. 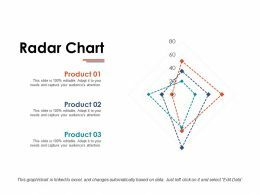 The stages in this process are Product, Radar Chart, Business, Shapes, Marketing. 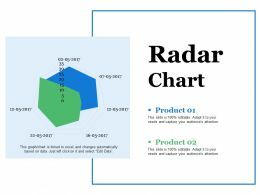 Presenting this set of slides with name - Radar Chart Ppt Infographics Topics. This is a two stage process. The stages in this process are Product, Radar Chart, Finance, Shapes, Business. 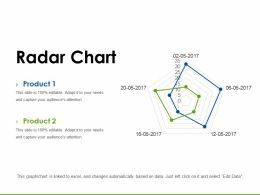 Presenting this set of slides with name - Radar Chart Ppt Icon Influencers. This is a two stage process. 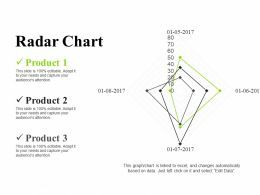 The stages in this process are Product, Finance, Radar Chart, Business, Shapes. Presenting this set of slides with name - Radar Chart Powerpoint Slide Clipart. This is a two stage process. The stages in this process are Business, Marketing, Financial, Radar Chart, Strategy. 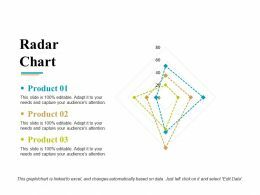 Presenting this set of slides with name - Radar Chart Ppt Outline Maker. This is a two stage process. 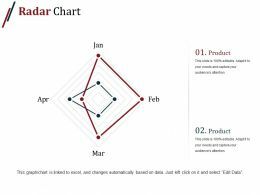 The stages in this process are Radar Chart, Product, Business, Shape, Finance. 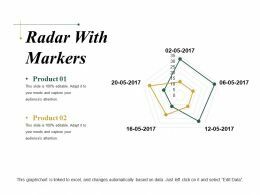 Presenting this set of slides with name - Radar Chart Ppt Slides Objects. This is a two stage process. 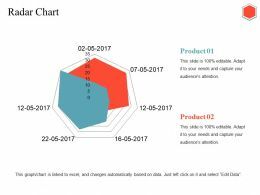 The stages in this process are Business, Marketing, Strategy, Percentage, Radar Chart. Presenting this set of slides with name - Radar Chart Ppt Slides Outline. This is a two stage process. The stages in this process are Business, Strategy, Financial, Marketing, Radar Chart. Presenting this set of slides with name - Radar Chart Ppt Show Example. This is a two stage process. The stages in this process are Product, Finance, Radar Chart, Business, Marketing. Presenting this set of slides with name - Radar Chart Ppt Example File. This is a two stage process. The stages in this process are Business, Marketing, Radar Chart, Finance, Strategy. 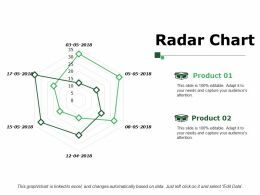 Presenting this set of slides with name - Radar Chart Ppt Infographics Show. This is a two stage process. The stages in this process are Product, Finance, Shape, Radar Chart, Business. 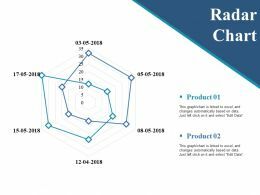 Presenting this set of slides with name - Radar Chart Ppt Pictures Designs. This is a two stage process. 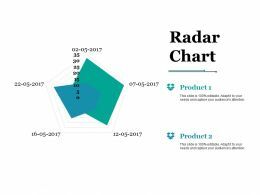 The stages in this process are Radar Chart, Product, Finance, Business, Shape. 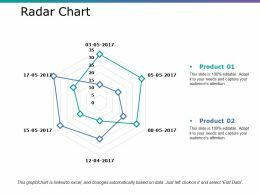 Presenting this set of slides with name - Radar Chart Ppt Summary Smartart. This is a two stage process. 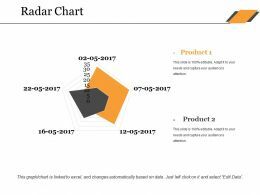 The stages in this process are Radar Chart, Product, Finance, Business, Shape. 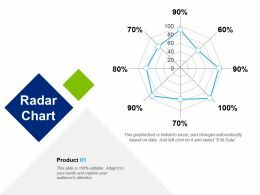 Presenting this set of slides with name - Radar Chart Ppt Professional Picture. This is a two stage process. The stages in this process are Product, Radar Chart, Finance, Business, Shape. 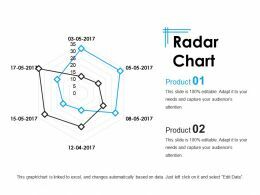 Presenting this set of slides with name - Radar Chart Ppt Inspiration Vector. This is a two stage process. The stages in this process are Radar Chart, Marketing, Strategy, Planning, Finance. Presenting this set of slides with name - Radar Chart Ppt Images Gallery. This is a two stage process. The stages in this process are Radar, Business, Marketing, Finance, Strategy. 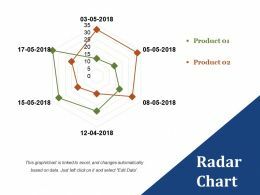 Presenting this set of slides with name - Radar Chart Ppt Slides Graphics. This is a two stage process. The stages in this process are Radar, Business, Marketing, Finance, Strategy. 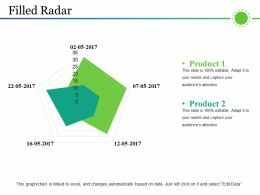 Presenting this set of slides with name - Radar Chart Ppt Sample Presentations. This is a two stage process. The stages in this process are Radar, Marketing, Strategy, Finance, Analysis. Presenting this set of slides with name - Radar Chart Ppt Summary Slides. This is a two stage process. The stages in this process are Business, Marketing, Radar, Finance, Strategy. 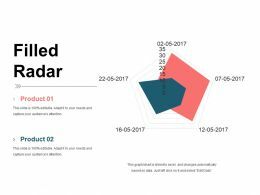 Presenting this set of slides with name - Radar Chart Ppt Styles Grid. This is a two stage process. The stages in this process are Radar, Business, Marketing, Finance, Strategy. Presenting this set of slides with name - Radar Chart Powerpoint Slide Designs. This is a two stage process. The stages in this process are Radar, Marketing, Planning, Strategy, Finance. 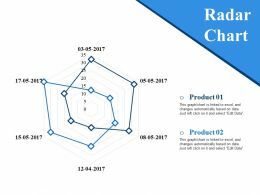 Presenting this set of slides with name - Radar Chart Sample Presentation Ppt. This is a two stage process. The stages in this process are Finance, Chart, Planning, Marketing, Strategy. 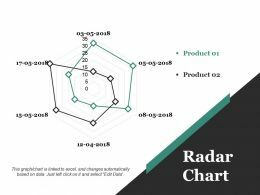 Presenting this set of slides with name - Radar Chart Ppt Summary Introduction. This is a three stage process. The stages in this process are Chart, Business, Marketing, Finance, Strategy. Presenting this set of slides with name - Radar Chart Ppt Styles Ideas. This is a two stage process. The stages in this process are Business, Chart, Marketing, Finance, Strategy. Presenting this set of slides with name - Radar Chart Ppt Gallery Slide. This is a two stage process. The stages in this process are Product, Business, Shape, Marketing, Finance. 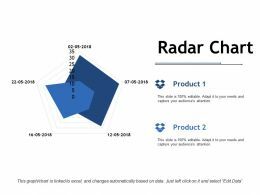 Presenting radar chart powerpoint slide deck samples. 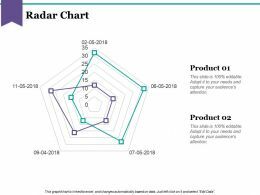 This is a radar chart powerpoint slide deck samples. This is a two stage process. 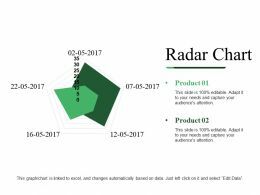 The stages in this process are product, radar chart, shapes, years, business. 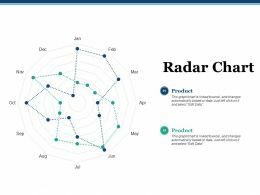 Presenting radar chart presentation portfolio template 2. 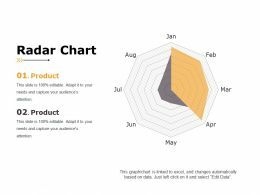 This is a radar chart presentation portfolio template 2. This is a three stage process. 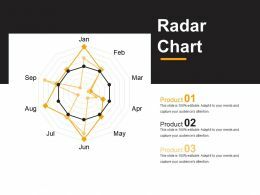 The stages in this process are radar chart, marketing, business, product, shapes. 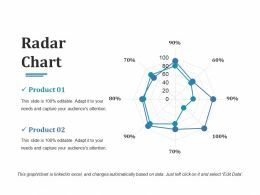 Presenting radar chart powerpoint topics template 2. 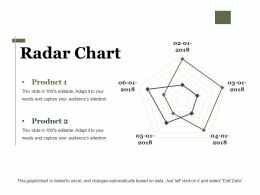 This is a radar chart powerpoint topics template 2. This is a three stage process. 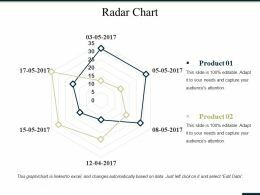 The stages in this process are product, business, shapes, radar chart. 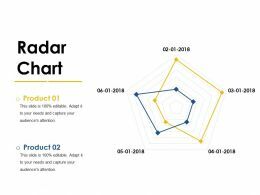 Presenting radar chart ppt design template 1. 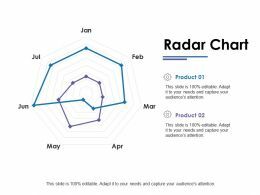 This is a radar chart ppt design template 1. This is a two stage process. 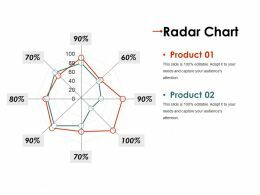 The stages in this process are product, radar chart, shapes, business. 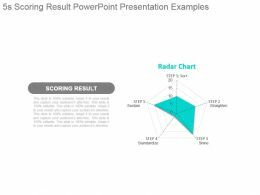 Presenting radar chart powerpoint slide presentation guidelines. 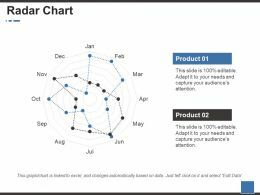 This is a radar chart powerpoint slide presentation guidelines. This is a three stage process. 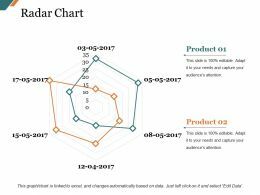 The stages in this process are radar chart, process, business, marketing, product. 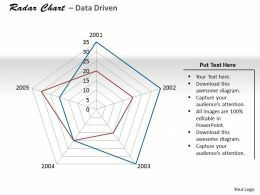 Presenting radar chart powerpoint slide presentation tips. 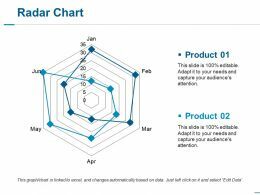 This is a radar chart powerpoint slide presentation tips. This is a two stage process. The stages in this process are chart, finance, business, marketing, chart. 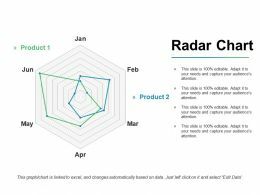 Presenting radar chart powerpoint slide presentation examples. 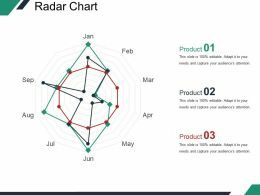 This is a radar chart powerpoint slide presentation examples. This is a two stage process. The stages in this process are chart, finance, business, marketing. 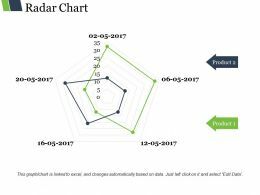 Presenting this set of slides with name - Radar Chart Ppt Visual Aids Diagrams. This is a two stage process. The stages in this process are Business, Marketing, Financial, Radar Chart, Strategy. 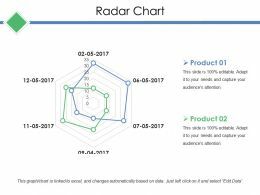 Presenting radar chart presentation examples template 2. 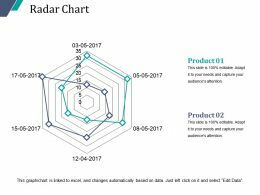 This is a radar chart presentation examples template 2. This is a three stage process. The stages in this process are product, shapes, business, marketing. Presenting this set of slides with name - Radar Chart Ppt Summary Master Slide. This is a two stage process. The stages in this process are Business, Marketing, Finance, Strategy, Radar Chart. Presenting this set of slides with name - Radar Chart Sample Of Ppt Presentation. This is a two stage process. The stages in this process are Radar Chart, Business, Marketing, Finance, Strategy. 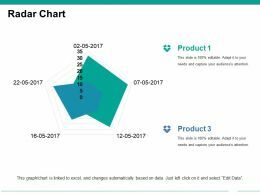 Presenting this set of slides with name - Radar Chart Ppt Styles Graphics Example. This is a two stage process. The stages in this process are Business, Marketing, Financial, Radar Chart, Strategy. 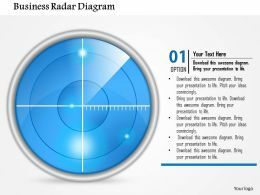 Presenting this set of slides with name - Radar Chart Powerpoint Slide Design Templates. This is a two stage process. The stages in this process are Radar Chart, Finance, Analysis, Marketing, Strategy, Business. 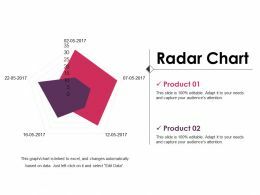 Presenting this set of slides with name - Radar Chart Ppt Summary Background Designs. This is a two stage process. The stages in this process are Radar Chart, Finance, Marketing, Strategy, Analysis, Business. 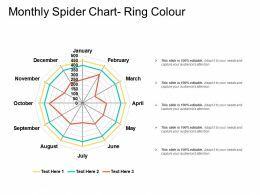 Presenting this set of slides with name - Radar Chart Powerpoint Presentation Examples Template 1. This is a three stage process. The stages in this process are Business, Marketing, Chart, Radar, Strategy. 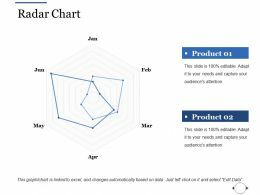 Presenting this set of slides with name - Radar Chart Ppt Presentation Examples Template 1. This is a two stage process. The stages in this process are Business, Marketing, Finance, Strategy, Radar. This is a two stage process. The stages in this process are Product, Percentage, Business, Management, Marketing. 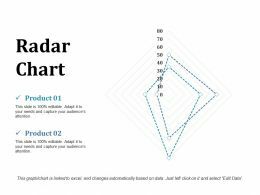 Presenting radar chart quotes template 3 powerpoint slide deck. 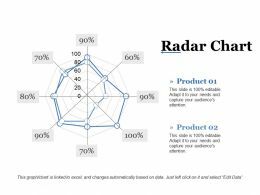 This is a radar chart quotes template 3 powerpoint slide deck. This is a three stage process. The stages in this process are business, marketing, finance, marketing, chart. 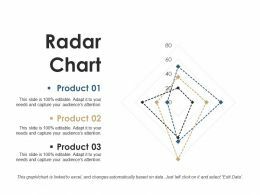 …our data driven radar chart displays multivariate data powerpoint slides. 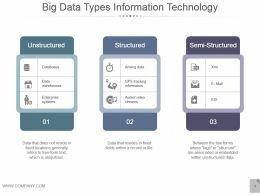 There are a variety of different kinds of business data that you can use to display the information compiled in your reports. This ppt diagram making this process extremely easy to convert information into charts and graphs. Presenting filled radar powerpoint shapes. This is a filled radar powerpoint shapes. This is a two stage process. 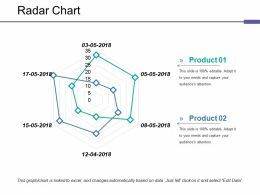 The stages in this process are product, shape, business, marketing, radar chart. Presenting filled radar powerpoint show. This is a filled radar powerpoint show. This is a five stage process. The stages in this process are scatter, percentage, finance, analysis, marketing. Presenting radar with markers ppt sample presentations. This is a radar with markers ppt sample presentations. This is a two stage process. The stages in this process are business, marketing, chart, finance, strategy. Presenting radar with markers sample of ppt presentation. This is a radar with markers sample of ppt presentation. This is a two stage process. The stages in this process are rader, marketing, strategy, analysis, business. Presenting this set of slides with name - Filled Radar Powerpoint Slide Backgrounds Template 1. This is a two stage process. The stages in this process are radar, business, marketing, strategy, finance. 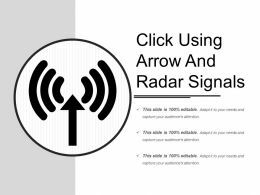 Presenting click using arrow and radar signals. This is a click using arrow and radar signals. This is a one stage process. The stages in this process are click, press, push. Presenting this set of slides with name - Lightning Icon Shown By Radar Focus. This is a four stage process. The stages in this process are Lightning Icon, Thunderstorm Icon, Electrostatic Discharge Icon.